The Alpine Golf Club is a fun little 18-hole public course, good for the beginner and loaded with birdie holes for even the average golfer. You’ll need to hit it straight because of the tree-lined fairways, but nailing the driver off the tee is not a requirement and you’ll be in good shape on many holes with a solid 4 or 5 iron for . Lake Cherokee, about 20 miles outside of Longview, is a 12-mile-long private lake with over 100 miles of shoreline. 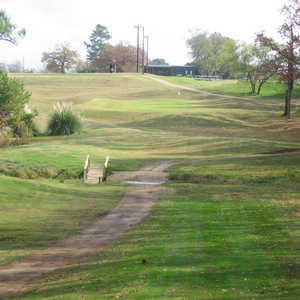 Residents and stockholders have the lake’s recreational opportunities at their disposal, as well as the unique little 9-hole golf course designed in 1985 by Ed Stites. This is the place to practice your short game in Longview. 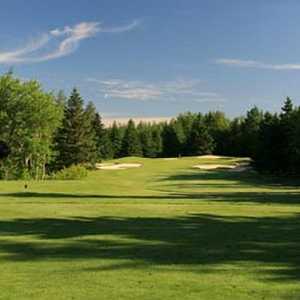 With holes ranging from 100 to 200 yards, this is a first-rate par 3 course that provides many interesting challenges. If you’re off on the approach shots, the large, undulating greens are easy to three-putt. The LCC has been criticized over the years for its frequent flooding and poor condition; however, the club is back on track due to a slow process of improvement that is making this flat, wide-open course more enjoyable to play. Pinecrest opened in 1921 as a 9-hole track with sand greens. One of the oldest courses in the state, it was updated in 1959 by Press Maxwell, making it a 6,400-yard par 70 layout. The design incorporates water five or six water hazards and mounding around the greens. The Challenge at Oak Forest Country Club is the perfect combination of traditional and links-style designs. Set in a valley with mostly flat terrain, the front nine features water on every hole, subtle mounding, narrow fairways, and a welcome lack of trees. 2044 Oak Forest Country Club Dr. Some of the most memorable golf experiences don’t necessarily come from the ultra-expensive resort courses with perfect, pristine conditions and astronomical slope ratings. 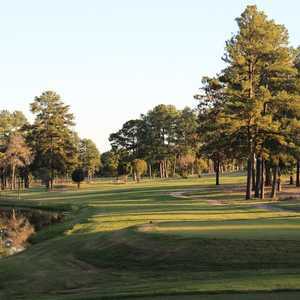 Often it’s the places like Wood Hollow, where the conditions are merely adequate but the wide-open fairways, large greens, and basic layout create the opportunities for career-low rounds.